Maxine Waters is Glamour Magazine’s next Woman of the Year. Woman of the Year. You know, the same award that was given to Bruce Caitlyn back in 2015? Truly, these are the best women the country has to offer. A transgender athlete half a step away from the Kardashian family and Maxine Waters, who has been screeching for the end of Donald Trump since before he headed to office. Truly, Caitlyn and Maxine are what we want our daughters to grow up to be. 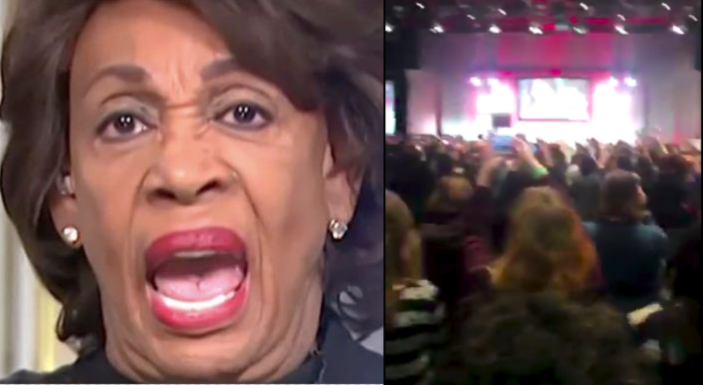 Recently, Maxine appeared at a gala to raise funds for gay and lesbian youth services in New York, where she used part of her speech to say that with the energy of the crowd, she would “take Trump out tonight,” which sounds just threatening enough that if anyone who wasn’t a big-wig in the Democrat party had said it, they’d be getting a visit from a three-letter organization. And while presenting at a “woman’s conference” a few days ago, she started a chant throughout the room, saying “Impeach 45!” I suppose that means she’s finally accepted that Trump won the White House fair and square and the only way to get rid of him now would be to attempt impeachment. She got on to the subject of Trump by talking about the sexual misconduct of Harvey Weinstein. Why she picked Trump of all people out of the air instead of Bill Clinton is beyond me.